Bookkeeping can be just as frustrating as income taxes. Trying to juggle everything can be fatal to your business. Good bookkeepers are hard to find. Bookkeepers with accounting software knowledge are even harder! Call us, we can help! Whether you require data entry or just a bank reconciliation. 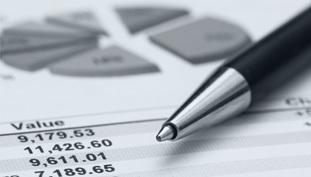 We provide a full range of bookkeeping services. All services can be done on your computer or ours. We are not looking to replace your accountant but only work with them and provide you the knowledge you need to manage your business. Install the software for a single user or a network. Give you a clear picture of your company's financial standing. Personalize your forms (checks, invoices, purchase orders, etc.). Provide advanced training to you and your staff. Telephone support for our clients. We travel anywhere in NJ, parts of NY & parts of CT.